It’s the simplest putting tips that make you pause and say, “Boy, it really shouldn’t be that hard, should it?” All it takes to put the ball in the hole is a good eye and the right power. Sounds easy, right? 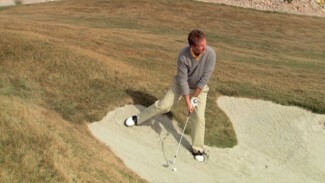 Well, we all need a little reminder now and then, which is why we like to practice no-brainer putting drills to get ourselves back to the basics. In this lesson, we teach you some quick putting tips to help you remember just how easy putting can be. It’s said that the average amateur golfer winds up with at least two 3-putts each round. Limiting that number to one or even none can have a nice little impact on your scorecard and give your ego a big boost. Now, eliminating the 3-putt sounds like a cinch, in theory, but avoiding dropping strokes on the green can be a challenge when you start to psych yourself out. 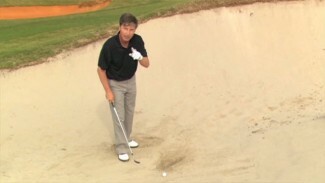 With that idea in mind, PGA Professional Warren Bottke has a couple putting tips he believes will help you make the 3-putt a thing of the past. To demonstrate these putting tips, Warren shows you how to complete what he likes to call, “Inside The Pizza Putting Drill.” All you’ll need to complete this drill is a handful of tees spread about a two feet in diameter around a hole. Once your pizza pie is set up, Warrens teaches you some essential putting tips for getting your putts close to the hole inside the pizza to avoid dropping an extra stroke. You’ll learn the best way to practice before stepping up for the putt, and discover the importance of letting your eyes read the distance. By following along with Warren’s putting tips and practicing this and other putting drills for better technique and accuracy, we guarantee you’ll reduce the number of putts you hit and avoid those unnecessary headaches on the green!